How Strong Can You Become? ◆ Struggling with your strength training? ◆ Confused about how to workout and actually get results? ◆ Want well-researched, no B.S. exercise advice? ◆ ...And pointers from a real person, with firsthand experience? 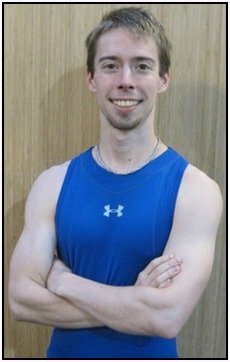 Hi, I'm Aaron McCloud and welcome to Complete Strength Training (CST)! If you want to truly change your body fast hire me to coach you. And be sure to check out the latest strength and exercise articles I've written. The only real secret to getting stronger is - get ready for it - EFFORT.Oh yea, and one other thing: sticking to a good plan. Quality info from experience, hand in hand with hard work and sweat, creates muscle and strength. That's what I share here: HOW TO GET STRONG! I've been practicing martial arts for the last ten years now and weight lifting for four of them, and I'm a Certified Personal Trainer through the American College of Sports Medicine — so I know a bit about strength and conditioning. I still read and work out all the time even though I'm really busy, and I enjoy feeling righteously drained and sore after a great workout! Here you'll find complete information about building strength and manipulating your body, with in-depth examinations of studies and details for how to scientifically change your body. As well as anecdotes from my own training experience. It's painful when I realize I’ve spent time working an inefficient lift or ordering an overpriced and useless book. But at least now I can save you from those pitfalls on your path to strength. I update Complete Strength Training a lot, so read the Strength Training Blog to stay current with new pages and postings. You can subscribe to my blog by clicking on the square, orange RSS Feed button at the bottom of the left column (or at the top of the right column). Click here to find out what an RSS Feed is, and how it keeps you up-to-date. For many people, being fit and healthy also means being conscious not only the foods you put in your body, but also the products you use and ingest. If you’re looking to improve your health by replacing synthetic chemicals with all natural remedies, you’ll want to look into natural DrNatura detoxification programs. Ridding your body of toxins is one of the first steps to promoting overall wellness. I like getting stronger, and good information does wonders for creating a clear path to strength. And I want to give you a helping hand to get stronger, muscular, and more powerful too.